Our bodies are much more complex than most people realise. Have you ever noticed that around the same time each night you begin to feel tired and if you don’t set the alarm you tend to wake up around the same time each morning? This is due to your internal body clock also referred to as a circadian rhythm which makes your body follow a consistent sleeping pattern. However, due to the pressures of modern day life, your body clock can go out of sync which means that to get it back functioning effectively you need to reset your body clock. The circadian rhythm isn’t just responsible for your body clock but also for other physical, mental and behavioural changes within the body that it is continuously regulating. The internal “clock” is found in the hypothalamus inside the brain, which then triggers chemical reactions and releases in other parts of the brain. For instance, it uses light triggers in the retina to control the release of sleep hormone Melatonin. When there is too much light entering the retina, it sends a signal to the brain that it’s still daytime with surprises the release of Melatonin. As you reach the evening, less light enters the retina, so your body knows it’s coming towards bedtime which signals the release of Melatonin which makes you begin to feel tired. There will be some variance from person to person so some people will be predisposed to having an earlier bedtime whereas others will start feeling tired later in the night. There are also personal behaviours and external environmental factors that also affect your sleep habits. How does our body clock get out of sync? Our body clocks don’t always run perfectly because they can be knocked out of sync. This is because it’s sensitive to external factors such as light which delay or accelerate the release of particular hormones. Your body clock can alter your sleeping pattern if you travel into different time zones or stay up later than usual. This means your forcing your body to stay awake when it naturally wants to sleep. Sometimes it's not an option to sleep; for instance, if you work shifts which include night work, then it means that you can’t maintain a regular sleeping pattern. So what are the effects of a skewed body clock? If your body clock is out of sync, then this can lead to poor sleep quality where you have minimal REM sleep. However, the effects get more dangerous when you deprive yourself of sleep over the long term with health problems including obesity, diabetes and chronic fatigue. It’s often not known that having a body clock that’s not aligned properly is a sleep disorder referred to as an advanced sleep phase disorder where a person has habitually early sleep-onset and wake times. A common symptom of this is if you regularly feel tired in the late afternoon and naturally wake up in the early morning between 2 and 5 am. Having a severely misaligned body clock and sleep schedule is itself considered a sleep disorder. About 1 per cent of adults have advanced sleep phase disorder, according to the National Sleep Foundation, meaning they go to bed early, from 6 to 9 p.m., and wake up early, between 1 and 5 a.m. (3). Sleep-wake cycles are greatly affected by digestion and metabolism which has also been backed by Havard researchers who have concluded that fasting can reset your sleep cycle allowing you to get closer to your natural sleeping pattern. The study discovered that circadian rhythms in animals adjusted based on the availability and access to food sources. This suggests that if you fast for 12-16 hours, then this can reset your body clock, with this fast taking place prior to the time that you want to wake. Once you break the fast, your internal body clock will presume that it’s the start of a new day or morning. For example, if you want to start waking up at 7 am, you should begin fasting at 3 pm and don’t break your fast until 7 am when you wake up. Having a healthy well-balanced meal is key to kickstarting your body. This has also been linked to decreasing the effect of jet lag when you travel. Again it’s important that once you have completed your fast that you stick to your new food schedule and wake up times. 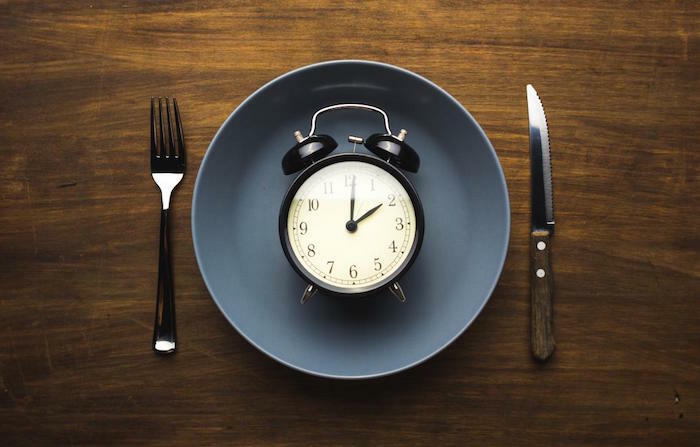 The study suggests that one fasting cycle is enough to override and replace the traditional light-based circadian clock. It may be tempting but avoid sleeping in because this can quickly turn into working against you fixing your internal body clock. Consistency is how you can maintain a well-functioning sleep schedule, and if you need help to do this then buy an alarm clock and don’t use the snooze button! Or place it on the other side of the room, so you’re forced to leave your bed. It makes it easier if you have a reason to get out of bed or it will be difficult to wake up. If you don’t have work commitments, then make sure you have a task to get on with even if it’s just waking up to go to the gym or shops. You may feel like you’re only sleeping in for 30 minutes but gradually this increases and before you know it, you’re oversleeping by 2-3 hours and your internal clock is back out of sync. You may be desperate to reset your body clock, but if this has been a long term issue, then you’ll need to do this gradually to ensure that your body can slowly adjust to the changes. This also produces longer results and means you can mentally and physically adapt without it being too difficult. The last thing you want to do is have to give up half way through because you can’t adjust while still functioning in your day to day life. You need to alter your sleep schedule by a total of 30 minutes each week. For example, if your bedtime is two hours late, then you’ll need to alter your bedtime by 15 minutes every 3-4 days, and after around four weeks you should have painlessly put yourself back on track. Once you reach your desired schedule, you need to stay consistent with it every day of the week. If you wake up/bedtime delay is huge then you may need to make larger steps of an hour; otherwise, it’ll take too long to fix. Everyone has a circadian rhythm that has the same overall purpose of maintaining a consistent sleep cycle, but we’re all individual so they will be slightly different from person to person. Because of this, you’ll need to discover whether you naturally prefer to wake up earlier or stay up later which is referred to as a chronotype. Once you’re aware of your chronotype, you’ll be able to make more effective decisions about your circadian rhythm. For example, if you naturally wake up early then, you’ll be more productive and energetic in the morning whereas if you’re a night owl, you’ll have more energy and concentration later into the night. This is something that you shouldn’t ignore or try to change because it’s your natural rhythm and going against it will cause more harm than good. This is especially the case if your daily life involves completing complex tasks where concentration is necessary. 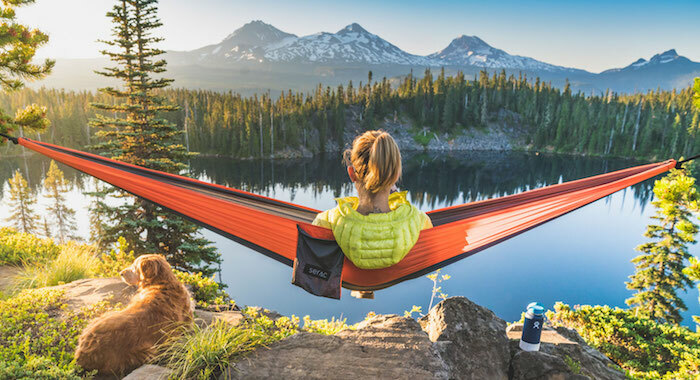 If you enjoy camping in the great outdoors, then you’ll be happy with the news that this is one way that you can reset your body clock. New research conducted by the University of Colorado Boulder discovered that sleeping outdoors is a remedy for those that find it difficult to rise in the morning. Camping increases natural light exposure in the day but then dramatically decreases in the night. This is because there are low amounts of external light compared to inner-city areas where there are street lights, cars and homes giving off artificial light. Artificial light that we encounter in our day to day lives can wreak havoc with our sleep. Camping helps to reset the Circadian rhythm to improve physical and psychological processes. 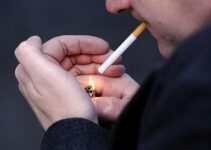 The study involved small groups of people who took part in several camping trips, and their Melatonin and light levels were measured throughout with the only light they were exposed to being the campfire. The results revealed that the subjects were exposed to a whopping 13 times more light at home compared to on the trip. It shows how many artificial light sources we have in our day to day life. Also, the Melatonin levels in their body rose 2.5 hours earlier than they did before taking the trip meaning that they went to be earlier and altered their body clocks. An alternative approach to resetting your body clock is to just stay awake for a full day. This is more effective if your sleep clock has been changed recently and has only been temporary meaning it will take less time to move it back into its original routine. It’s not recommended if your body clock has been out of its normal routine long term. It means that you need to stay up for a full day until you reach your normal bedtime. Essentially this a planned period of sleep deprivation. There is minimal research done on this topic. For instance, if you’ve been on summer holidays where you’ve been going to be at 4-5am when it reaches term time you need to start waking up at 7 am. You may find it easier to stay awake for the full day until the evening then gets a full night’s rest. Many people will find this too difficult which will lead to then napping throughout the day. It’s important to understand that you will be tired, so you shouldn’t try to carry out any strenuous activity or dangerous tasks such as operating heavy machinery or driving. Light is one of the main factors that control how your circadian rhythm functions and this has been backed by a set of studies that have shown that controlling light exposure can help to reset and optimise your sleep clock. Darkness and lightness are key triggers for the brain and your sleep cycles. Light levels are measured by the retina which then sends signals to the brain which then affects the secretion of sleep hormones depending on the time of day. It means that you need to model your body around these natural cycles. To do this, you need to expose yourself to daylight throughout the morning and daytime. If you’re not able to use natural light, then artificial light can work, but it won’t be as effective. As you move through the evening, you need to start dimming the lights to ready your body for bed. Using natural light is probably the most natural way to reset your circadian rhythm. It’s very important to avoid light before you plan on going to bed. In a Study conducted by Harvard University it was found that subject who were exposed to blue light for 6.5 hours caused a decrease in the amount of melatonin produced. It was also found that their circadian rhythm also moved by 3 hours. So it’s clear that if your body clock is out of sync that all is not lost, and there are a number of different ways that you can rectify this. Different methods work for different people so if one tip doesn’t work then stay confident and move onto the next one until you find a solution.